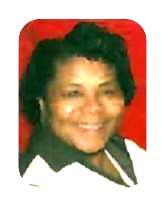 Hattie Mae Williams Johnson, 90, formerly of Benson, passed away on January 30, 2019 in Clinton, MD. She was the sister of the late Mrs. Sarah Chance of Dunn. Family will receive friends at 3316 Oak Hill Drive, Eastover. Survivors: daughters - Gloria Johnson of Washington, DC and Constance Porter (Don) of Capitol Heights, MD; sisters - Perlean Williams of Durham, Naomi Spiller (Terry) of Houston, TX, and Ella Mitchell (Willis) of Eastover; brothers - Johnnie RD Williams of Fayetteville and Mangier Williams (Joyce) of Eastover; six grandchildren and three great grandchildren. Viewing: Thursday, February 7, 2019 at the Dafford Funeral Home, Dunn from 1:00 pm - 6:00 pm. Visitation: Thursday, February 7, 2019 at the Dafford Funeral Home, Dunn from 5:00 pm - 6:00 pm. Funeral Service: Friday, February 8, 2019 at New Jerusalem Church, 2836 James Dail Road, Eastover at 1:00 pm.